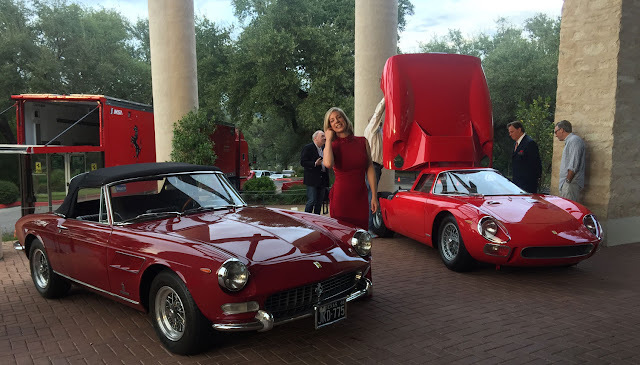 The 2017 US Grand Prix in Austin was a great success. Great weather, great crowd, good passing and a few new faces. 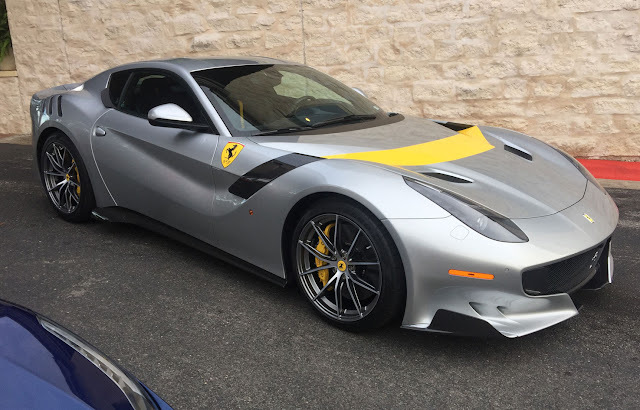 It is hard to stop Lewis Hamilton and his Mercedes but Ferrari and Red Bull put on a great show and tried their hardest. 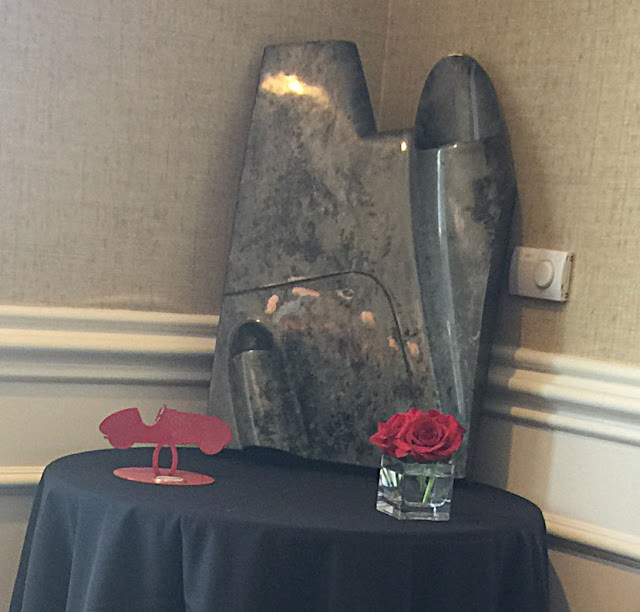 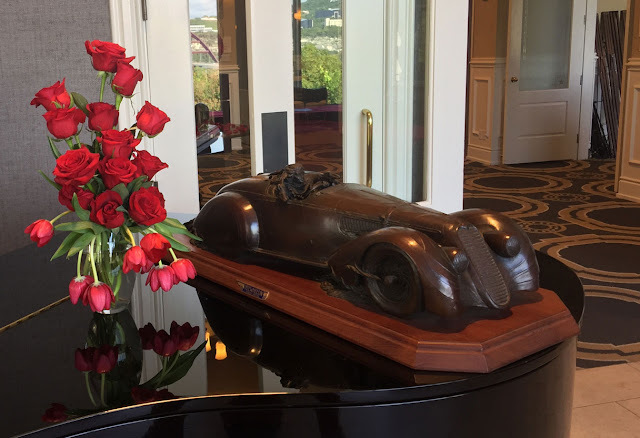 On Friday night the Ferrari Club of America South Central Chapter organized their 2nd annual dinner at the beautiful Austin Country Club in honor of the F1 race. 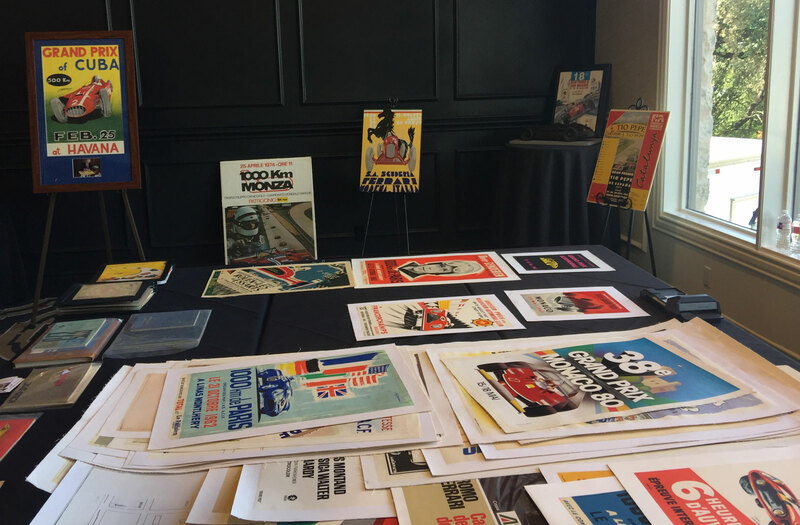 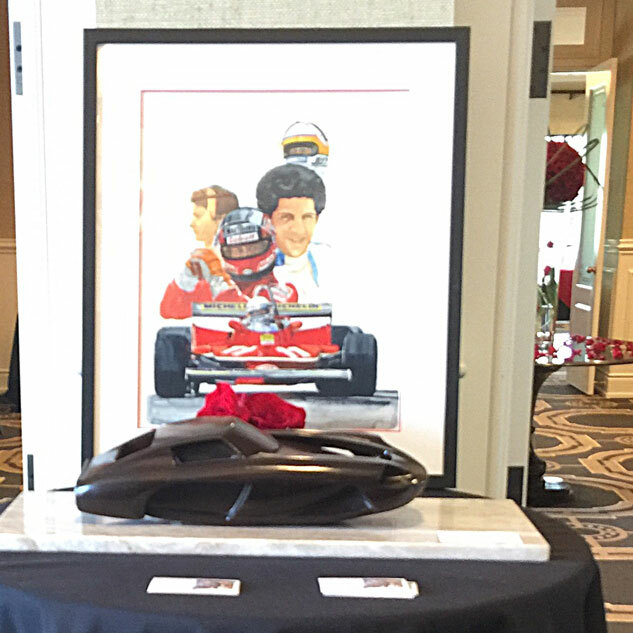 L'art et l'automobile gallery was honored to be invited at the reception to put on an art and memorabilia show dedicated to Ferrari. 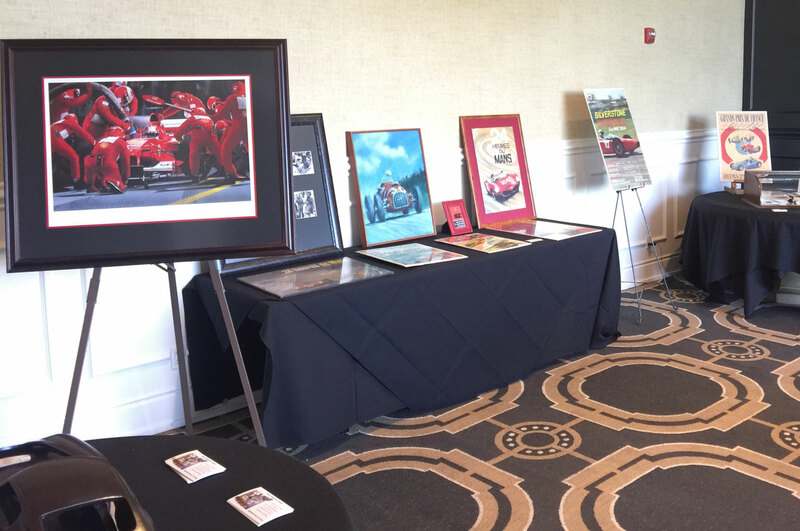 We had a special room we transformed into a gallery and the show was well received and successful. 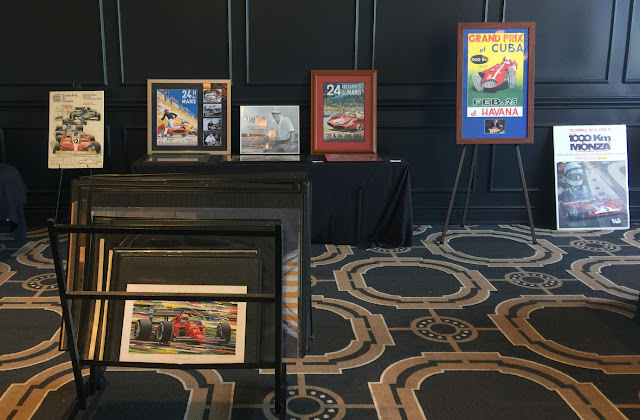 The event was even better than last year, with close to 300 enthusiasts in attendance, most of them belonging to Ferrari Clubs from around the country and the world, along with a few special guests. A big Thank You to the FCA for having us there. 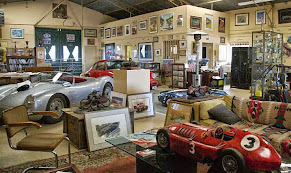 You can visit arteauto.com to see some of our Ferrari offerings.